﻿ Пигменты для век и бровей : Coffee Bean. Главная Каталог Пигменты для век и бровей Coffee Bean. Средне коричневый цвет. A medium brown. Use with light to medium brown hair color or neutralize it with an olive base if needed. 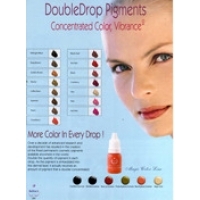 Great for brows on Auburn and Redheaded clients.